Tradition holds that Memorial Day marks the start of America’s barbecue season. Tradition hasn’t logged into BarbecueBible.com. In our tribe, everyday is barbecue day, and most of us have been grilling for months (if not nonstop since last Memorial Day). Two months ago, we told you how to spring clean your grill and get it in top working order. Today, we’ll review the essential tools you need for grilling. Relax. Of the literally hundreds of accessories and gadgets on the market, you need only six to rock the grill. 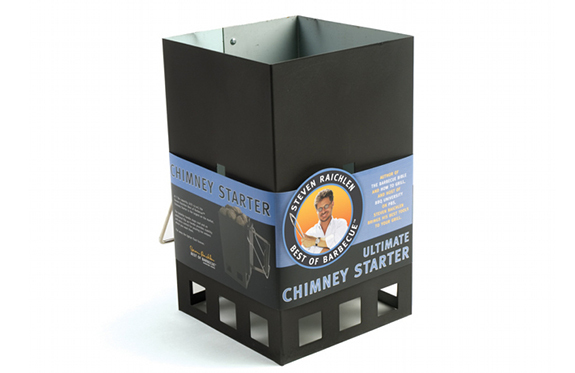 Chimney starter: This upright partitioned metal box or cylinder enables you to light charcoal quickly and evenly without resorting to petroleum-based lighter fluid. Pile the coals in the top and place a paraffin starter or crumpled newspaper in the bottom. Fifteen minutes and you’re in business. I’m partial to the Best of Barbecue Chimney Starter: The square shape holds more charcoal and makes it easy to pour the hot coals where you need them. Suede grilling gloves: Grilling requires handling hot stuff—chimney starters, grill grates, etc.—not to mention reaching across a hot fire. 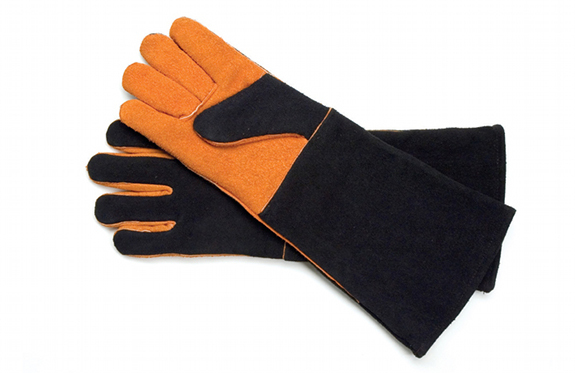 Heavy-duty suede gloves protect your hands and make the job easier. Choose a pair with padded palms and a sleeve that covers your elbows. A stiff wire grill brush: Travel the world’s barbecue trail and you’ll observe certain universal techniques, like scrubbing the grate with a stiff wire brush before adding the food to the grill. A clean grate helps prevent sticking and gives you tack sharp grill marks. Besides, last week’s burnt-on burger or salmon remnants don’t really add more flavor—at least not the kind you want. 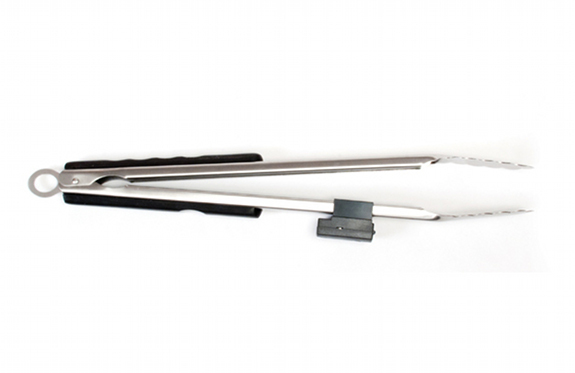 The Ultimate Grill Brush comes with steel bristles to scrub cast iron and steel grates and soft brass bristles for porcelainized enamel, plus a 3-foot long handle to keep you at a safe distance from the fire. Lumatongs: “Turn, don’t stab” is one of the Ten Commandments of Grilling. That is, handle your meat with tongs, don’t stab it with a barbecue fork. 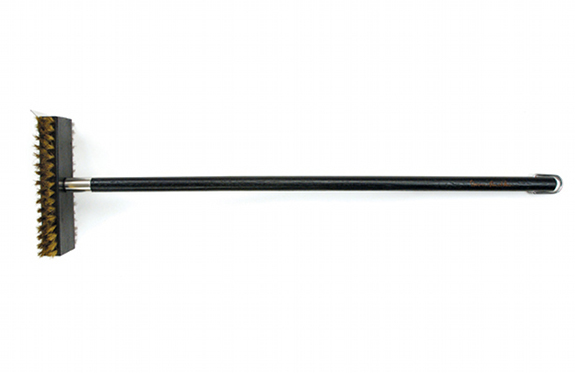 Our spring-loaded Lumatongs measure a full 16 inches in length (to keep your hands away from the fire). 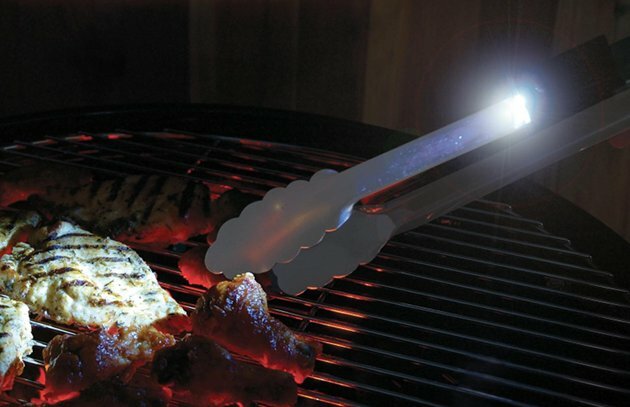 And thanks to the removable flashlight built into one arm of the tongs, you can finally see what you’re grilling at night. Fish spatula: There are certain foods you can’t turn with tongs (burgers and fragile fish fillets come to mind). For them you need a big headed grill spatula, preferably one with a sharp leading edge (to slide under the food) and a perforated surface (to prevent steam build up, which makes food soggy). 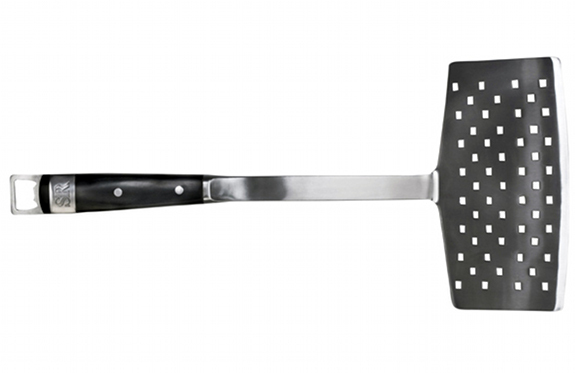 Our fish spatula is wide enough to handle whole trout or double salmon steaks (or burgers). 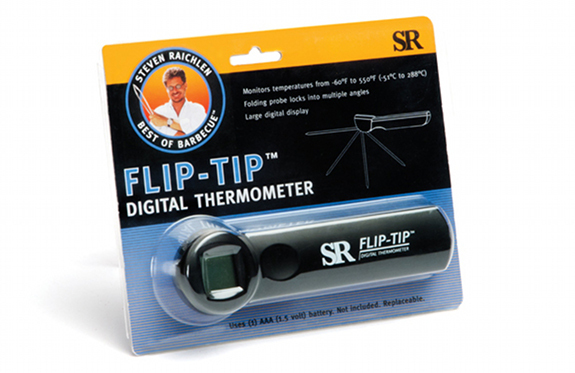 Instant-read meat thermometer: Unless you have 20-years experience cooking briskets or pork shoulders under your belt, there’s only one sure way to check the doneness of large hunks of meat, and that’s by verifying the internal temperature. Tip: To check the doneness of a thin food, like steak or hamburger, insert the metal probe through the side. What’s your favorite tool or gadget to use at the grill? Tell is in the comments or on the Barbecue Board. Up next month, I’ll tell you about six cool tools that would delight any dad for Father’s Day. Stay tuned!